Do you represent an organization that aims to help people to live long, health, and happy lives? Why not join us? Come and learn about living your best life by meeting and learning with our vendors! Canadian Footwear puts special focus on its customers' needs by providing education, service and the best in quality footwear and accessories... our "We Fit You" experience. Let us provide you with the "We Fit You" experience at the 2014 Health and Wellness Symposium. Dial-a-Dietitian connects callers to a registered dietitian, a licensed health professional who has studied the science of nutrition. Registered dietitians put the science of nutrition into everyday practical advice. Nutrition information is provided verbally and written resources can be mailed directly to the caller. Voice messaging is available. This health promotion program is here to answer questions and provide advice on food and nutrition to help Manitobans and their families live well and stay healthy. Since 2007, the Home Instead Senior Care® Winnipeg Office has been devoted to providing the highest-quality senior home care. Compassionate Home Instead CAREGiversSM are an invaluable resource in helping families eliminate worry, reduce stress and reestablish personal freedom. From Alzheimer's and dementia support to respite care, personal care, escorts to appointments, home helper services and more. 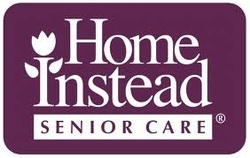 Homestead Manitoba has been a leading provider of assisted living for seniors in Winnipeg since 2003. Thanks to our attentive, caring, and professional staff, we offer Winnipeg's most relaxing and enjoyable lifestyle choices for seniors. Homestead Manitoba is a Winnipeg-based company, understanding the needs, wants of Winnipeggers and their families alike. Nature Doctors is Manitoba's largest, integrative Naturopathic Medicine Clinic. We are a team of highly skilled and progressively trained health professionals whose scope encompasses all health concerns. New Leaf Massage Therapy & Sports Rehabilitation is a massage therapy clinic where our trained and licensed team will provide both relaxation and remedial massages for the treatment of stress, pathologies and dysfunctions such as muscle-skeletal restrictions. The clinic is conveniently located at 196 Osborne Street in Osborne Village above Oxfords Salon Spa. departments to create an environment within Manitoba that promotes health, independence and well-being of all older Manitobans. As a central source of information and referral for seniors and their families, seniors' organizations and government departments, the Secretariat will be at the Symposium as a resource for your enquiries. award-winning experts are focused on improving your life and self-esteem through dental prosthetics, The Minuk Way. The clinic is located at 10 Main Street, open seven days a week. 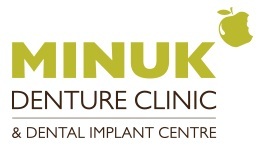 Representatives from Minuk Denture Clinic will be happy to talk to you at the Symposium about utilizing the best denture or dental implant product for your needs. The program is the result of a research study and pilot project that demonstrated vision care services reduce falls and falls-related injuries. Vision care services include vision screening, optometry assessment, education and follow up. Social Work is a helping profession that promotes emotional, physical and psychosocial health. Social Workers at the Misericordia Health Centre are dedicated to improving the health and well-being of individuals, families and communities. Social Workers are skilled in understanding how our whole self is affected during times of stress and illness.